gallery photo posted by	herphobbyist Welcome to kingsnake.com's Reptile Incubator Classifieds. This section is for posting wanted and for sale ads for reptile egg incubation systems, as well as parts, components, supplies and accesories specific to egg incubation systems. If you are looking for, or want to post ads for other supplies, or accessories, or other reptiles and amphibians please review our classified index for the appropriate category. 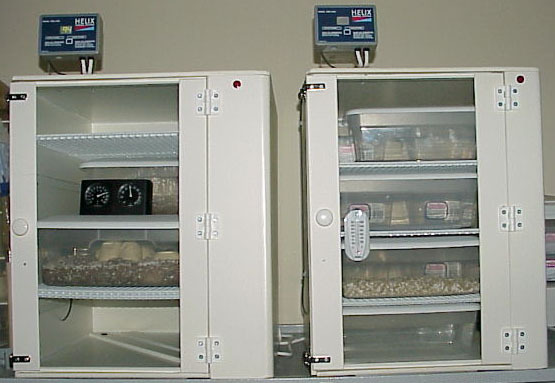 An incubator is a device used to control both the temperature and humidity of reptile eggs while bringing those eggs to term. The simplest incubators are insulated foam boxes with an adjustable heater. Elaborate incubators include a timer; some can also be programmed to cycle through different temperatures, humidity levels, etc.